Today’s guest comic is by Sarah Sobole! 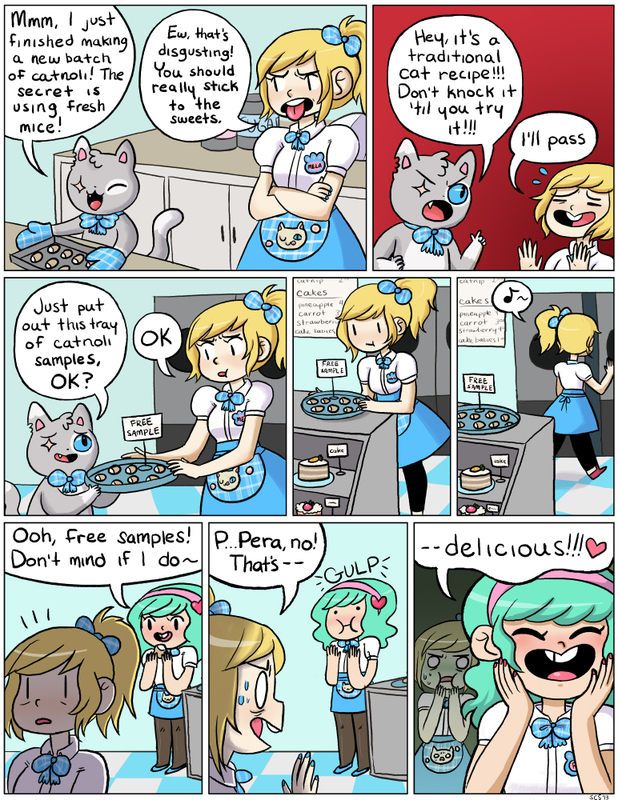 Check out her comic Dr Cat, as well as her tumblr! I just read the entire story. And I can easily say that I loved it, I wish that I found out about it sooner though. Thank you for creating this amazing comic. I should also thank Sarah since I came here because of her comic. Oh hai I’ve seen u in the comments of doctor cat before. She should definitely make some catnoli and put out samples at her merch table at the next con. I would try it. Maybe have them at $1 each with the proceeds going to a cat charity or something. Hi Sarah Sobole! I know u from reading doctor cat it’s the best!